Bag day is 9 days away, so here is your Week 5 Update. 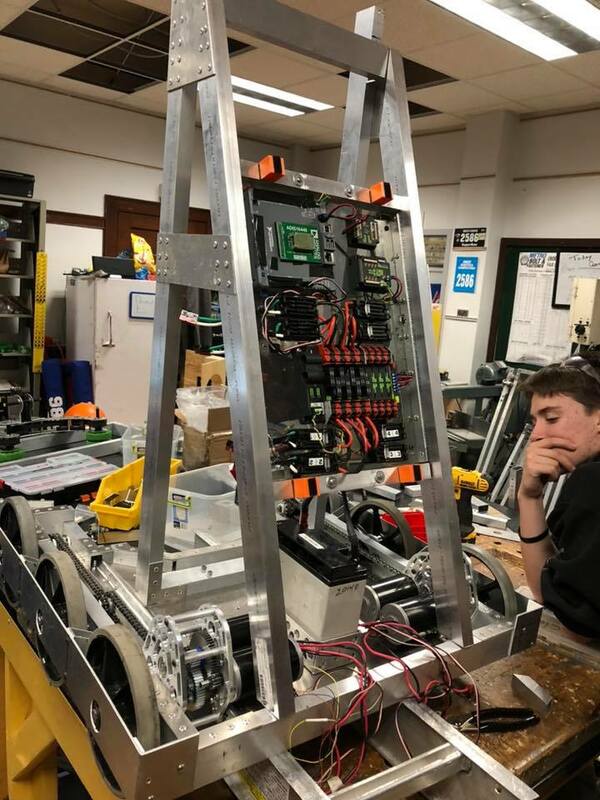 This week, we started with mech assembly beginning and a bare bones chassis, and we finished with an almost fully wired chassis with our mechs in various stages of completion, ranging from just started to finished. 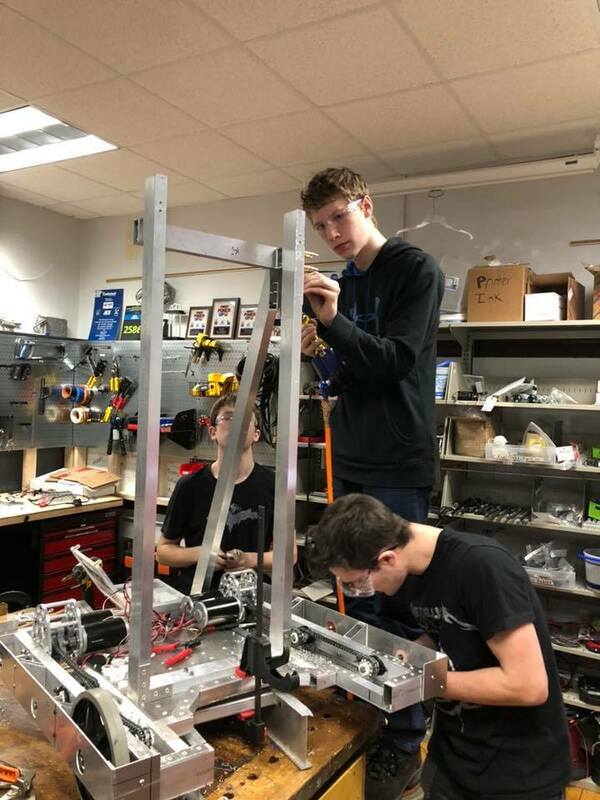 Our previous experience with building an elevator-style lift from last year has helped us out a lot! 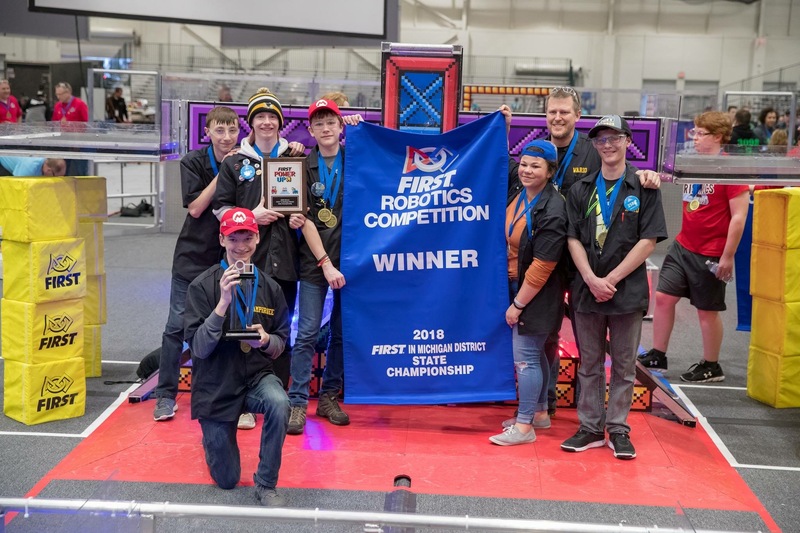 We knew just how to build back supports and braces, and they flew on in one practice! 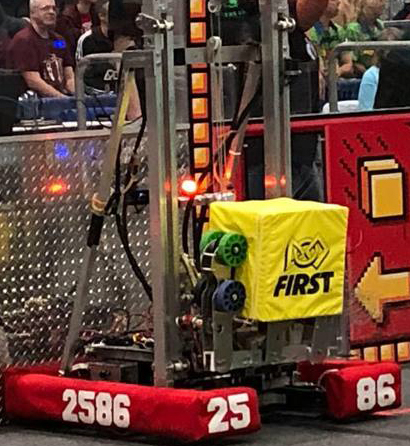 We also mounted our electronics on a sheet of Lexan. What are we milling in the CNC Mill? Custom gearbox plates! This year, we have been very fortunate to have CNC machining capabilities which enable us to make custom parts like gearbox plates, winch plates, elevator bearing mounts, and much more. We are so grateful! 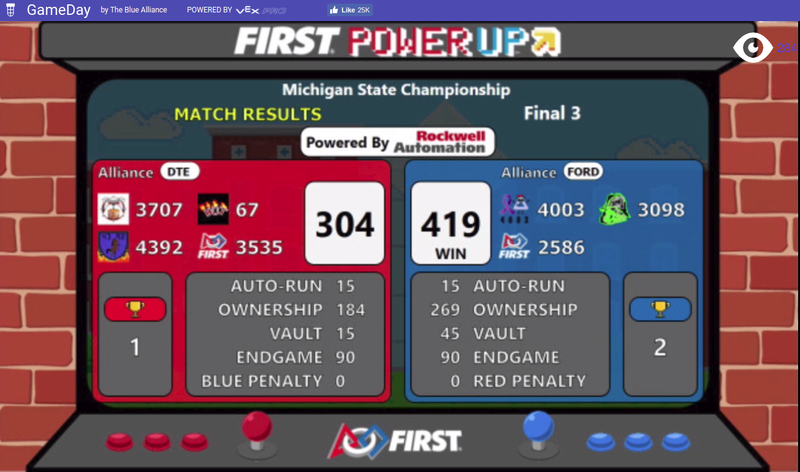 Our robot after Week 5. Looks a lot different than in Week 4, doesn’t it? This week, we have made lots of visible progress. 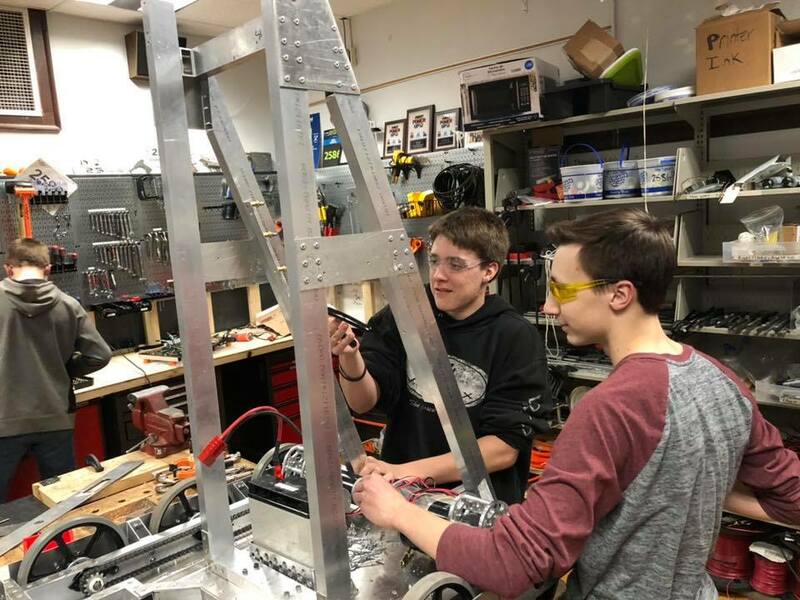 We have a finished and mounted shooter, an almost fully assembled winch, a mounted compressor and battery box, bumper mounts, and milled elevator bearing mounts. 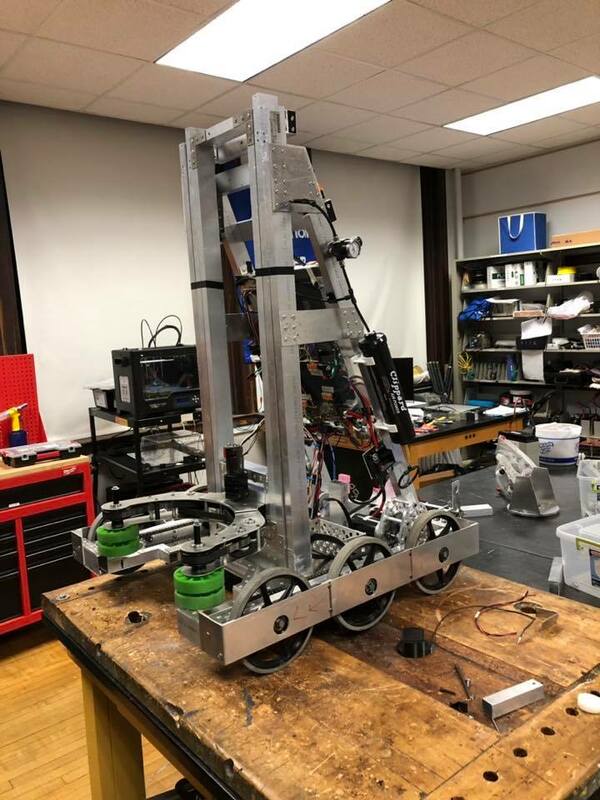 Next week we will start elevator assembly once some key hardware arrives. Also, we will (hopefully) finish up our Hatch Panel mech and HAB lift. 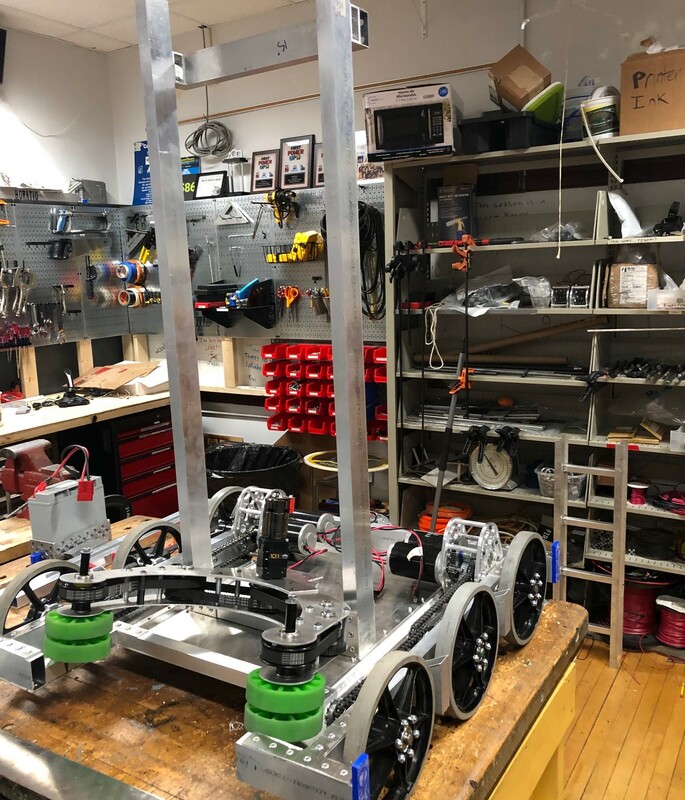 The CopperBots are hard at work, because Bag Day is just 9 days away! Stay tuned for more.